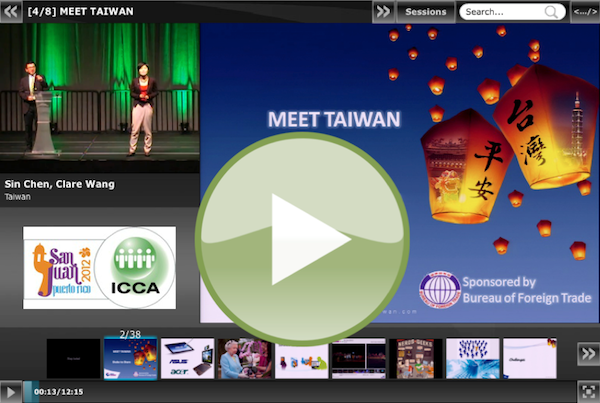 MEET TAIWAN won the ICCA 2012 Best Marketing Award. The world is small since Klewel was last week in… Taipei, Taiwan (!) to webcast parts of the 4th World Congress of Pediatric Gastroenterology, Hepatology and Nutrition. 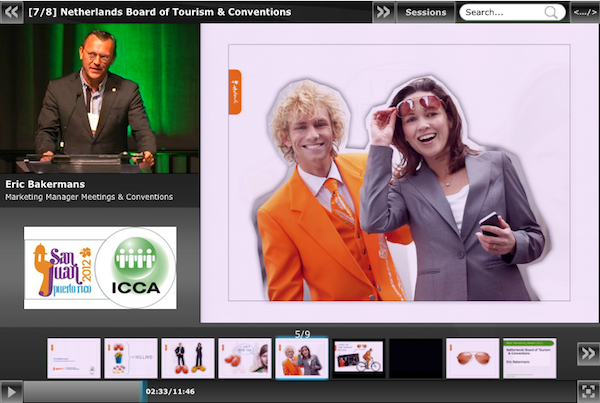 And a couple of weeks ago we were in Puerto Rico to webcast some of the sessions of the ICCA congress where the Convention Bureau Meet Taiwan gave their talk. The key technology concept of the campaign is that their “Shake to Share” meetings app allows users to share their photos through social media channels by shaking their smartphone. Meet Taiwan’s “Shake to Share” campaign is a technology-enabled programme which combines the spirit of ancient culture and modern technology to effectively turn delegates into destination promoters. Meet Taiwan’s “Shake to Share” meetings app allows users to share their photos through social media channels by shaking their smartphone. The winner was announced during the closing session at the 51st ICCA Congress in San Juan, Puerto Rico. 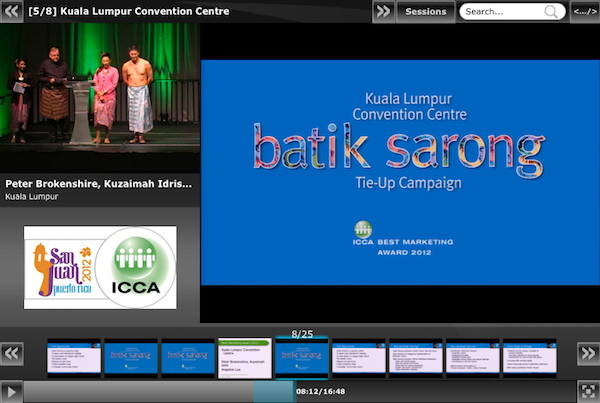 Congratulations also go out to the other finalists of this year’s Best Marketing Award: Artion Conferences and Events (Greece), the Kuala Lumpur Convention Centre and the Netherlands Board of Tourism & Conventions. The four finalists presented their successful marketing campaigns at the 51st ICCA Congress, taking place 20-24 October in San Juan, Puerto Rico. The ICCA Best Marketing Award, established in 1997, recognises the excellence and outstanding achievements of organisations in their effort to market their destination or product. Entries can range from full scale campaigns and branding exercises to individual promotions and events. 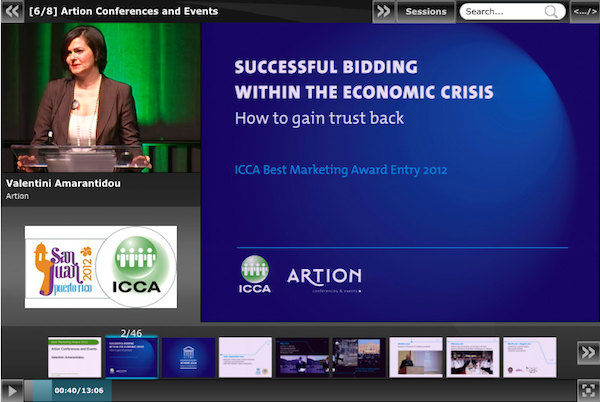 The ICCA Best Marketing Award is sponsored by Bedouk Meetings & Events Media (http://www.bedouk.com) and is open to ICCA members only.